Property developers in Singapore have become more selective with their acquisitions. Despite the increased activity in the collective sales market, the success rate for en bloc sales has fallen significantly compared to 2016 and 2017 levels, reported Singapore Business Review citing Savills Asia. This comes as developers have become more selective with their acquisitions even as more sites have been launched for sale. “Developers’ buying interests have shifted to freehold sites in the high-end and mid-tier markets with a quantum of less than $500 million,” said Savills Asia senior director of research Alan Cheong. Investment sales of residential sites and homes fell 14.5 percent quarter-on-quarter to $6.88 billion in Q2 2018, although they continued to make up the bulk of total sales at 65 percent. Of the 21 private residential sites sold during the quarter, 16 were transacted via en bloc sales. Transaction values for such sites, however, continued to increase. Given the 18 sites sold in the first quarter, developers acquired a total of 34 en bloc sites at a total value of $9.84 billion. The figure exceeds the $8.24 billion spent in the whole of 2017 for 29 sites. Meanwhile, Singapore emerged as one of three countries that registered double-digit growth in prime property prices, revealed Knight Frank’s latest Prime Global Cities Index. The city-state was ranked second in the index as prime property prices rose 11.5 percent. Guangzhou topped the list with a 11.9 percent hike, while Madrid settled in third place with a 10.3 percent increase. “High land bids by developers has translated into higher new-build values,” said Knight Frank’s international residential research partner Kate Everett-Allen. The upward trend in prices was also seen in the Urban Redevelopment Authority’s data. “Luxury prices in Singapore have rebounded strongly but recent stamp duty changes may [cause] impact,” she added. 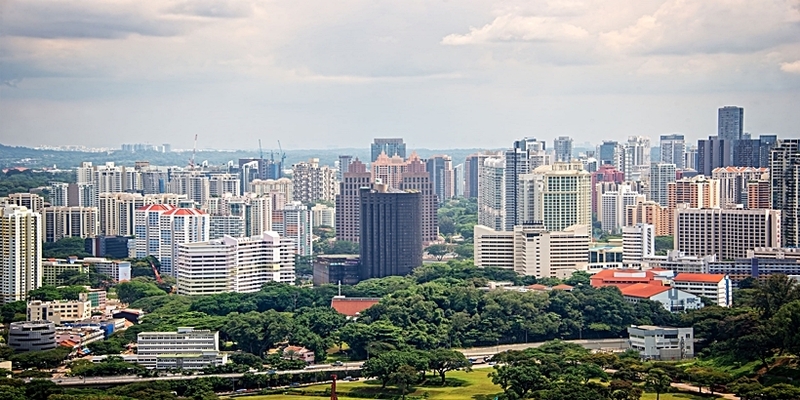 The Singapore government introduced its latest round of property cooling measures, which included higher Additional Buyer’s Stamp Duty (ABSD) and tighter lending rules in July to curb price inflation.